I often get asked about “how fit do I need to be to train with you” and my answer is that you don’t have to be very fit, because you will learn the basics, but that the fitter you are the more helpful it will be. I tell people that even if they are not moving fast on the ranges, they are still running through the maneuvers, the principles, and applying accurate fire to the enemy, thus creating and maintaining momentum. Let’s be realistic – many people are older, 50’s/60’s and are still doing this tactical training. They will invariably not be as fast as when they were in their 20’s, but they still need to be able to do the business if this thing collapses around us. When I am training students in fire and movement, because I am focusing on teaching them the basics and not simply exhausting people, I make using the prone position voluntary, most of the time. For me, it is fine to run through the drills using a kneeling position, if that suits their level of physical capability. Once the student leaves me, they can work harder on the fitness, the importance of it having been illustrated. I cannot however abide students kneeling in front of an active target (enemy) while, for instance, dealing with a stoppage, so I will tell people to take better cover in those situations. 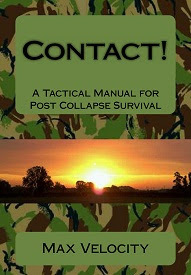 When people have got the basics and are working well together in their buddy or team elements, I will tell them that ‘in the real world’ if they want to improve their chances of survival in combat, they need to work on ‘keep low, move fast’ – by which I mean a faster speed of the rushes they make and lower (usually prone) fire positions in better cover. This can even include crawling between fire positions, rather than making short rushes (bounds), if the enemy fire is heavy enough. So the message here is that to maximize your effectiveness and survivability in dismounted infantry /resistance combat, you need to be fitter. This will allow you to patrol, infiltrate, exfiltrate, stay alert and fight. If you are exhausted, you will become a slow mover. There are times when you will be exhausted but still have to produce the goods, and that is where determination and heart come into play. Why do you think elite SOF/light infantry style units place such a premium of determination, fitness and will to fight? As an example HERE is a video about Pegasus Company, the Parachute Regiment selection test, which serves as Pre-Parachute selection for the British Airborne Forces. I am most definitely not talking here about the ‘six-pack abs’ steroid kind of vanity fitness here. It is also not just a young mans game. As you get older, so long as you continue to fight the ravages of increasing unfitness and obesity, you will generate better endurance but suffer from lower VO2 max, which basically means you wont be able to sprint so fast but you can carry a ruck for days. When us old farts in our 40’s 50’s and 60’s get going to fight the regime, after the collapse and the onset of full-on tyranny, we will not be young infantry soldiers. But we are the gray foxes, the experience. We should have the maturity and mental determination to keep going and never give up.The more physically fit you are, the better able to will be to fight off mental fatigue when the going gets tough. It doesn’t matter if you have a bit of a gut. It matters that you take fitness seriously and work hard at it. One of the problems we have nowadays is increasing obesity, in all generations. Junk food, GMO’s and all that. What better way to cow a population of sheeple by making them lazy and obese and unable to get off their fat arses to actually put up a fight. I suggest you spend less time behind your keyboard talking on the interwebs about liberty, and put more time into getting ready to be able to fight for it. PT, and actual tactical competence, will matter if/when it comes down to it. Some of us are older, some have injuries and medical conditions. It does not matter, work within what parameters you have. I often get asked about this, and have commented in the past. But things like military standard PT tests and training designed for young recruits are not necessarily helpful measures. If you can run, run. If you can ruck march, then do it. If you have to do non-weight bearing exercise like cycling or whatever, do so. One of the things I very strongly advocate is a generally active lifestyle, to include as much simulation of ‘manual labor’ as you can do. 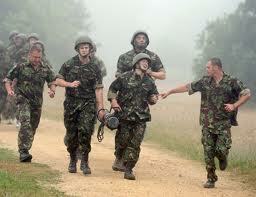 By this I mean activities like digging, which simulate the life of an infantry soldier. When I am out working on the ranges at my site, I am cutting trees, moving logs, digging holes, all day. This is great training. It does not help me run two miles faster, but it helps with endurance and conditioning. If you get a chance to dig out your yard, do so. Don’t kid yourself; anytime you are going to gear up and fight in combat, you need to be able to carry a combat load. This is your rifle, ammunition, your sustainment load of food water and shelter, plate carrier etc. Instead of complaining about it, ensure you are not carrying excess weight (ammo is not excess weight) and get used to it. You need to be able to move while carrying a combat load about your body. You also need to be realistic about food and shelter. You are a modern American. Hopefully you are participating as much as possible in the outdoors camping/hiking lifestyle. But you still have needs. No, you are not on the Ho Chi Minh Trail subsisting off a handful of rice a day while squatting in the jungle. You are not an Afghan hill fighter in flip flops. You have basic sustainment needs. You need ammo, more than one magazine for your AK. You need food and water and decent footwear. Coffee. Logistics. So leave off some of the more ridiculous references to guerrilla/insurgency movements and think about how it would work for real here in the US. Coffee anyone? 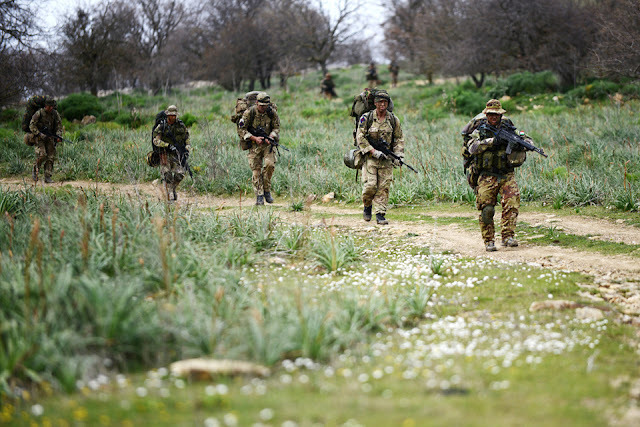 In summary, if you find yourself in combat, your effectiveness and survivability will owe a lot to your physical fitness and the ability to carry at least a basic load in and out of the fight. If, right now, you have work to do, then get on with it. Do not delay either physical or tactical training. Training can be adjusted to take account of your current state of fitness, so that you learn and practice what you need to know now. If you are busy being a keyboard commando, telling yourself that you will somehow rise to the occasion when necessary, then you are in denial and kidding yourself. You need to get out, train and test your gear. You will be surprised at even the gear revelations that people take away after running through drills on my ranges. I quote this from an email from a student on my last weekend: “I know now that many of the notions I held before last weekend were naïve and foolish as to how to prepare to defend myself and my family”. HERE is a link to the post about my training weekends. 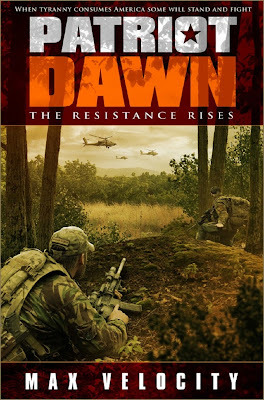 HERE is a book that illustrates the stress of resistance combat. It seems the Bear Crawl would be a good exercise to include. Thank you for posting this. It inspired me to do just a little bit more PT today (I’m basically starting from scratch again), and it gave me hope and inspiration that when this kicks off, I won’t die in the first 30 seconds.